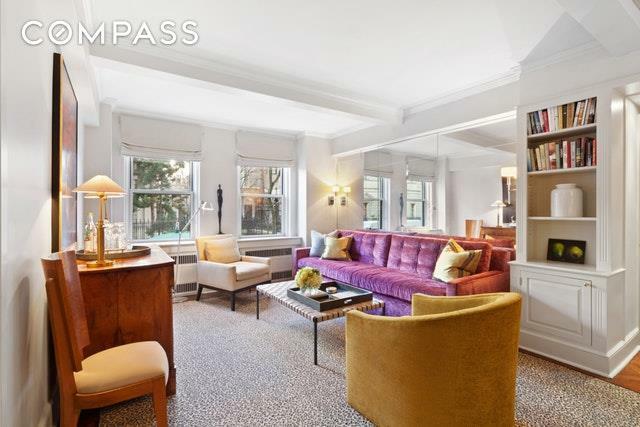 Just off Fifth Avenue, enjoy picturesque views of the Frick Museum and its enchanting garden and pond from all five windows of this beautifully renovated apartment. 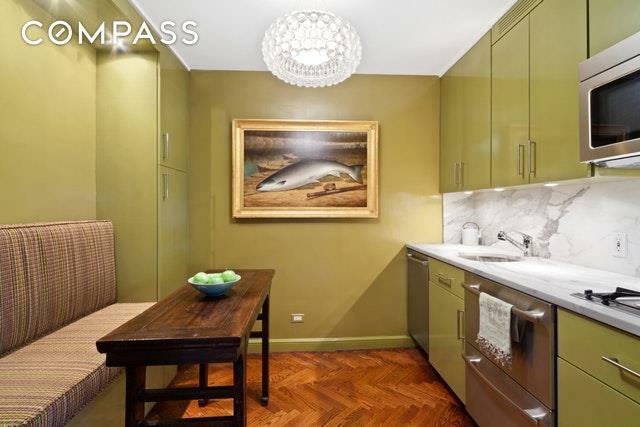 Mint condition, one bedroom, 1 & 1/2 baths, with high-end designer finishes. Double doors in the entry foyer open onto the bright living room. 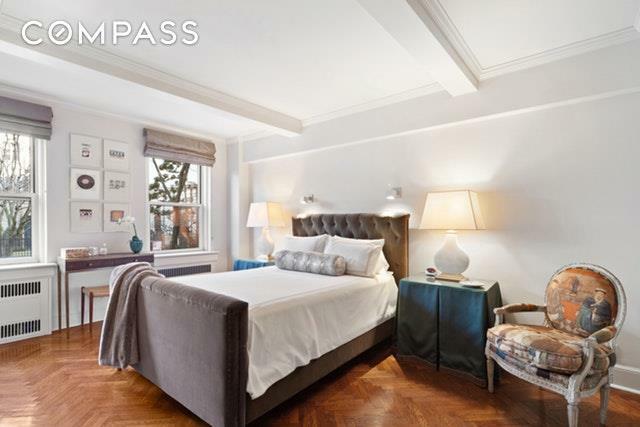 Pre-war details include gorgeous herringbone hardwood floors, crown molding, and high, beamed ceilings. 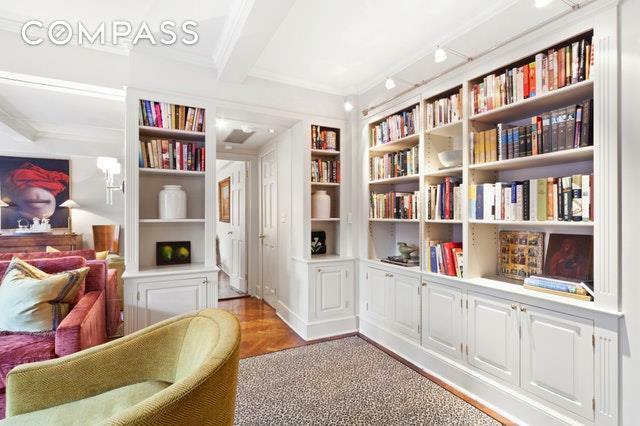 Custom, built-in bookcases conceal a hidden second walk-in closet, perfect for valuables. The eat-in kitchen features honed Calacatta Gold marble countertops with banquette seating, a Bosch dishwasher, and a Gaggenau stove top. The spacious, windowed marble bathroom includes a bidet. This impeccable home has central air and comes with a private storage unit. 4 East 70th is a boutique, art deco, pre-war cooperative just off Fifth Avenue, next to Central Park and the Frick Museum. White-glove full service with doorman-controlled access to each floor and a resident manager. Premier neighborhood in the center of New York's world-class designer shopping, art galleries, and fine dining on Madison Avenue. Pied-a-terre owners are allowed, as are small dogs or a cat with board approval.